The Hyperboreans is a race of giants who live beyond the North Wind, and their land is perfect, with the sun shining twenty-four hours a day, Herodotus wrote in his books Histories around year B.C 450. Through the centuries, the presumed location of Hyperborea has shifted numerously, from the Greek region of Trace to the Kazakh steppe and places in Northeast Asia. Now, the mythic legend is picked up by regional developers in Russia’s Kola Peninsula. According to an initiative launched this year, the town of Kovdor is to be promoted as the capital of Hyperborea. The initiative has won support from regional Governor Marina Kovtun, who this week presented it in a meeting with famous Russian journalist Aleksey Venediktov. The myths, legends and fables of the Kola Peninsula are unique materials for the creation of a tourist brand, Kovtun underlined. Under the brand «Kovdor - capital of Hyperborea» the project is to become a major cultural project aimed at attracting tourists. The plans include the development of a tourist village where guests can learn more about Hyperborea. Kovdor is located in the southern part of the Kola Peninsula only few kilometers from the border to Finland.«A lot will be assembled in one place - holy cliff rocks, scrolls and petroglyphs, all presented in a stylized way, Kovtun says. She underlines to RIA Novosti that tourism in Murmansk Oblast is growing quickly, and that the number of visiting tourists now amount to more than 413 thousand per year. According to the project developers, Kovdor has a vastly rich and ancient cultural heritage as well as wide-stretched Arctic wilderness. Parts of the area is considered holy by the indigenous Sámi people, they say on the project website. For others, however, Kovdor is more known for its major mining of iron ore and apatite. Company EuroChem annually produce more than 2,450 tons of apatite concentrate and 5,550 tons of iron ore. 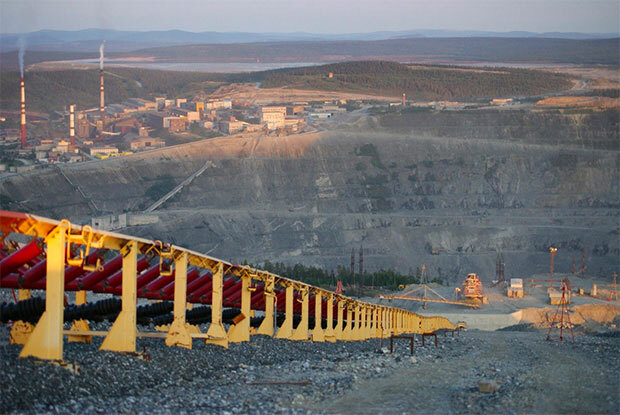 It is all produced in one of the biggest open pits in the whole northern Russia. And according to the company, both production and the pit is up for expansion.